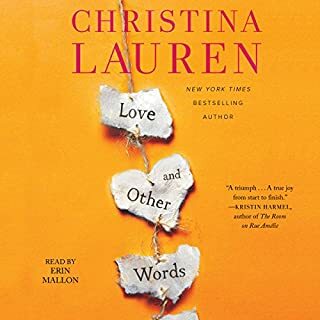 After realizing her coworkers at L'Ombre, a high-profile restaurant in NYC, will never appreciate or respect her, Charlie Garrett allows her ex-boyfriend, Avery Michaels, to convince her to work for him as executive pastry chef at his new Seattle hotspot, Thrill. She'll have her own kitchen, her own staff - everything she ever wanted professionally. 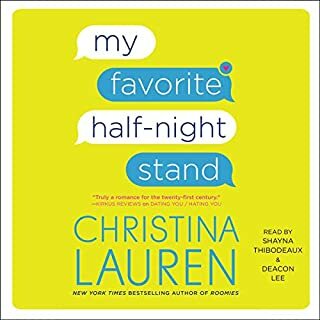 When she arrives at Thrill, however, she realizes that Avery wanted more than a pastry chef for his restaurant - he wanted a costar for the reality show they're filming about the restaurant and its staff. Charlie is uncomfortable with the idea at first, but she soon realizes that this is her chance to show the world what women in the kitchen are capable of. She sets some ground rules with the film crew, signs a non-disclosure agreement, and promptly meets the man of her dreams, Kai, off-camera. The show, and her demanding work schedule as head of the pastry kitchen, makes it nearly impossible for Charlie and Kai to spend time together. Drama on and off the set soon take a toll on Charlie's well-being, forcing her to choose if life in front of the camera is worth sacrificing life behind the scenes. 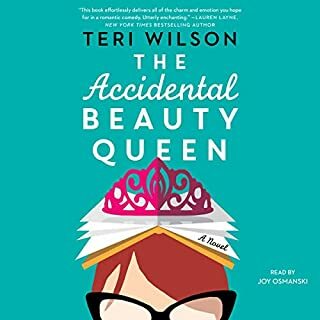 ©2017 Kimberly Stuart (P)2017 Audible, Inc. 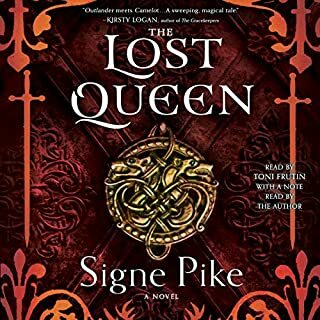 This was enjoyable, mostly due to the narrator. She did a great job of making each character sound different. The storyline is good too, interesting plot. But so much of it is awkwardly written and goes back and forth between present tense and past tense in the same sentence. 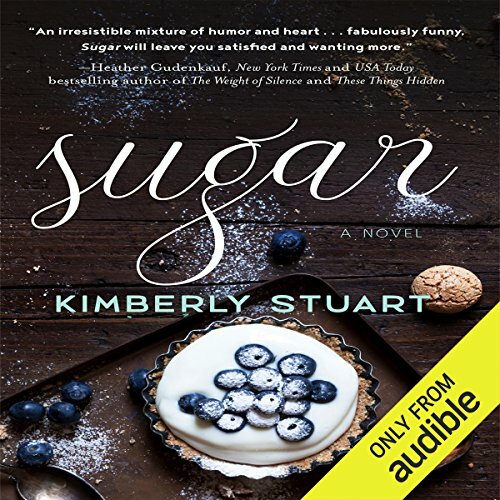 Sugar is the perfect romance for those of us who just want the STORY. If you're here for a missive on man's struggle against geopolitics, or an account of one woman's tale of smashing the patriarchy, or 50 shades of anything - keep going. This ain't that book. This is a beautiful story about PEOPLE. REAL PEOPLE and their struggles in the world. Their struggles in work, in life, and of course in love. I found myself getting into my car each morning for my hour commute waiting to find out what my "friends" were up to. It honestly felt like I was connecting with people I knew and cared about. 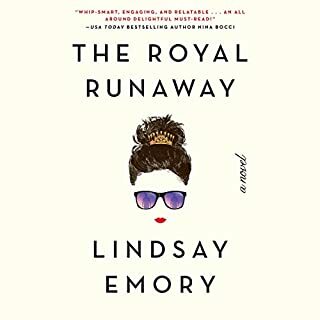 It did not feel like I was peeping in on characters in a movie the way it can with other audiobooks I've read. I truly felt like I knew these people and that I was simply catching up on their lives. Don't get me wrong - there were plenty of times I sat in my car, in the parking lot at work, ready to yell at someone (usually one character in particular) - this will definitely draw you in! 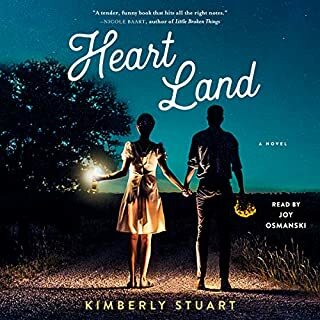 Kimberly Stuart clearly has a gift of storytelling. True storytelling - the kind that draws you in and makes you feel at home. Makes you feel like you're welcome in her world that has been created - not like you're spying on it. And that is a gift. You'll run the gamut of emotions that any good romance puts you through - but that's just what we want, and expect. That's why we're here. The actor voicing the characters did an amazing job. All the voices were distinct without being overbearing. The words were well acted without seeming "put on". I will say that a few times Kai's voice was so low and soft that I couldn't hear what was said - I had to rewind and crank my volume a bit. But that's a nitpick. And if you're listening in headphones and not on the interstate it won't be an issue.